The Boston Convention & Exhibition Center. Thousands of out-of-town conventiongoers have gotten used to calling an Uber car from the Boston Convention & Exhibition Center to take them to a hotel or restaurant or back to the airport. But new legislation could soon ban ride-hailing vehicles from picking up passengers there, a move that officials say could make it one of just a few major convention centers across the country with such restrictions. As the Legislature seeks to regulate the companies, the House has approved a bill that introduces a five-year ban on Uber and Lyft picking up customers at convention center properties — and extending the current ban on many types of pickups at Logan International Airport. Convention center officials say they were blindsided by the proposal and are now pushing for the proposed ban to be eliminated in a future version of the bill when it is considered by the Senate. The pushback from the convention center authority underscores the political tensions that local officials must navigate as they seek to create rules for a now ubiquitous but still unregulated industry. Convention center authorities said they want to continue their existing relationship with the traditional taxi industry, whose business still dwarfs companies such as Uber and Lyft on its properties. But Folk said passing a ban on Uber and Lyft would make the Boston Convention & Exhibition Center and Hynes Convention Center less appealing for big industry groups shopping for conference locations and hurt local residents who flock to the convention center in South Boston for crowded events, including those on the Lawn on D.
Uber and Lyft vehicles currently are able to pick up customers from the convention center properties, but patrons still wait in lengthy lines for taxis during busy conferences, according to officials. One ride-hailing firm, which Folk declined to name, estimated that its drivers provided about 15,000 trips from the convention center properties during 2015. “There’s more than enough business to go around,” he said. But taxi industry supporters say that restrictions on ride-hailing companies are the only way to keep some of its drivers in business. Since the arrival of companies such as Uber and Lyft, taxi drivers have seen a big drop in revenue: From January to June of 2015, for example, taxi ridership in Boston dropped 22 percent compared with the year before. Donna Blythe-Shaw, who represents a union of taxi workers, said that her industry doesn’t believe that Uber and Lyft have a right to the fares or passengers they can currently pick up at the convention center. The taxi industry, which helped finance the convention center when it was built, needs more protection, she said. Representative Michael Moran, a Brighton Democrat who supports the proposed bans and voted in favor of the bill, said the restrictions are necessary to temporarily help protect the small banks that helped finance taxi medallions that are now declining in value. Like Blythe-Shaw, Moran pointed out that the sale of taxi medallions raised money that helped finance the convention center. “I love the convention center, but they wouldn’t be in that building if the taxi financing didn’t help put it together,” he said. The bill passed by the House built off of a version that Governor Charlie Baker had filed. Baker’s version did not include restrictions for convention center properties or Logan. 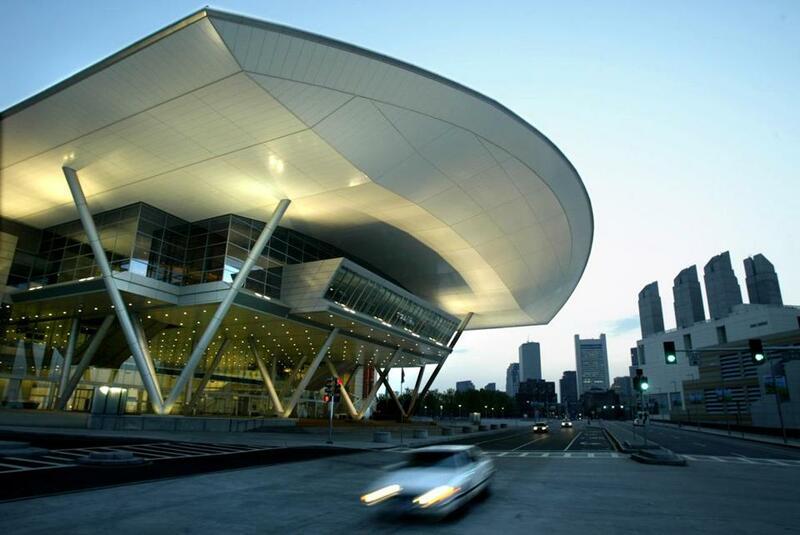 If the Legislature approves the five-year bans for the airport and convention center, Massachusetts would be bucking a trend across the country — and in a way that convention center officials worry would make the city look unattractive to visitors. Most airports have long had strict regulations about what kind of vehicles can solicit rides from people leaving the airport, which meant Uber and Lyft were often banned from airports from the start. But in recent years, major airports have turned a corner as the services have become more popular: Now, Los Angeles International Airport, San Francisco International Airport, and O’Hare Airport in Chicago are among the major hubs that allow Uber and Lyft to pick up from their properties, and Logan is one of the few major airports that still ban ride-for-hire firms. The proposed five-year ban from Logan wouldn’t necessarily change Massport’s current practices. Right now, Uber is able to dispatch some of its cars to the airport through its UberBlack and UberSUV services, which include livery cars that are registered with the Boston Police Department’s Hackney Carriage unit and pay for commercial insurance. Jennifer Mehigan, a spokeswoman for Massport, said the agency is not opposed to companies such as Uber and Lyft. “We are waiting to see what is finalized on Beacon Hill and are hopeful there will be a resolution soon,” she wrote in an e-mail. On the convention center side, Folk said several agencies in other states are working with Uber and Lyft to accommodate ride-for-hire firms in some way, rather than banning the vehicles altogether. Officials said they have also heard concerns that nearby properties, such as the Westin Boston Waterfront hotel that sits adjacent to the center, could be affected by the ban.